Cleaver East by Oliver Dunne opened recently in the The Clarence hotel in Dublin. There was a lot of good noise around about it since opening a few months ago so I took the opportunity to try it out when meeting my friends Gráinne and Aoife for dinner last week. Cleaver East use a tasting plate menu, the idea being that you get to taste and share a few dishes with your dining companions rather than ordering a meal in the standard format. Grá and Aoife are big gluten fans so I let them away with ordering a few of the non coeliac friendly items from the menu, which is clearly marked to indicate allergens. In tapas style, food is served as it is ready, rather than by course/order. We ordered in two batches, 2 plates each to start and then decided how hungry we felt before ordering again. This worked very well except for a bit of a delay waiting to get our second order taken. I won’t go in to too much detail on the food as I tried so many things but the scallops with crispy pancetta and duck egg with asparagus were definite highlights. All the food was tasty, interesting and looked beautiful….well, I think it did. Pretty much my only criticism of Cleaver east is that it’s too dark in there. 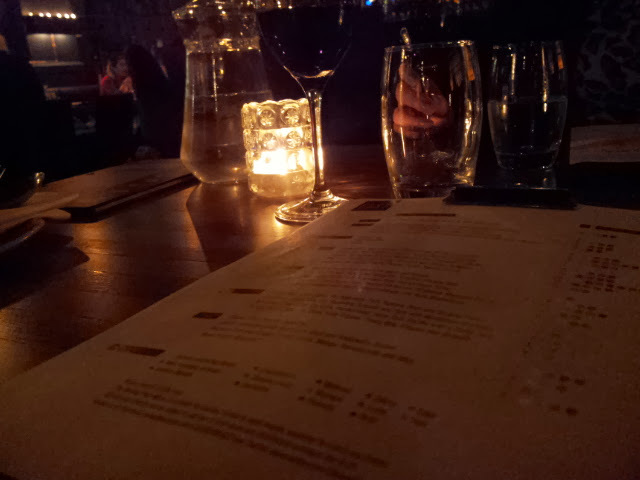 I know they are creating an ambiance but having to use your phone to see the menu isn’t great. It didn’t help that we had a pre dinner cocktail in the Liquor rooms which was just as dark, if not even darker! 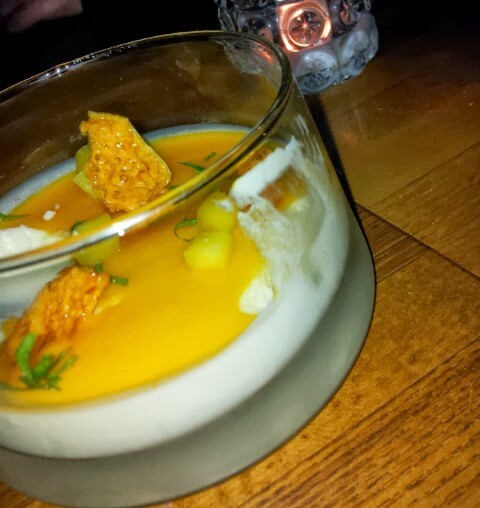 The passion fruit pannacotta for dessert is pictured above (Not a great pic, I had taken a bite before I remembered to take the picture, it didn’t look as messy when it arrived at the table!) and was absolutely delicious, sweet and tart at the same time. We shared a bottle of the house red, a Spanish tempranillo which was very good for the price. The server even gave us a generous tasting sample each to start before we decided on the bottle which I thought was a nice touch. Bill came to €120 before tip and included the wine and 11 tasting plates (They recommend 3-4 per person). Service was good, food was good, price was good, I’ll be back.